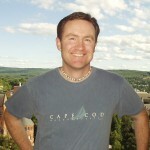 Chad Cassleman | Marketing Mayhem Trip: Your Journey Begins Here! The Marketing Mayhem 2014 event in Orlando Florida was phenomenal! and it surely lived up to its name! It seriously is going to be changing the lives of those who actually take action on what they learned while down there. Come check out the pictures here as they are added and get on the newsletter/email list to stay up to date to future Mayhem events and marketing tips and strategies.